The following is a press release courtesy of Iowa State Athletic Communications. AMES, Iowa – The Iowa State Athletics Department will seek final approval from the Board of Regents, Thursday, Nov. 15, to begin construction of a $90 million, 110,000-square foot, sports performance center and a spectacular new lighted plaza outside the north entrance to MidAmerican Energy Field at Jack Trice Stadium. Pollard noted that in April the BOR gave Iowa State the ability to continue planning the project while developing a sound financial model. The architectural renderings showcase a spectacular four-story facility connected to the Bergstrom Football Complex that will include a 20,000-square foot academic and student services center, dining facilities and a sports nutrition center for all student-athletes. The football team’s facility will be expanded and renovated – including nearly 20,000-square feet of additional locker room, team lounges, additional offices and gathering spaces – to meet its program needs. In addition, a new Olympic sports center will be located in the new facility that will include locker rooms, batting cages, weight room and sports medicine facilities for soccer, softball, tennis and golf. 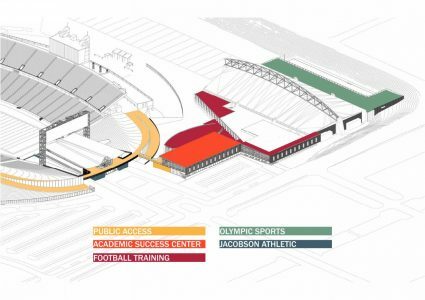 Finally, a dramatic lighted plaza and gathering space will be developed north of the stadium that will transform the entrances to the Jacobson Athletic Complex, the sports performance center and MidAmerican Energy Field at Jack Trice Stadium. 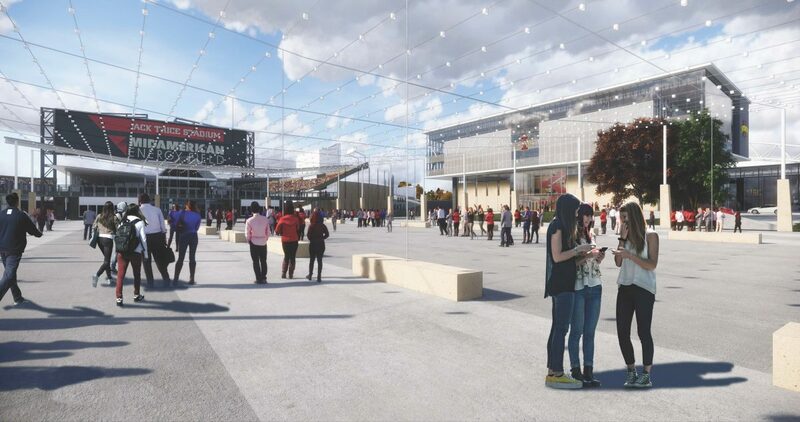 “The new lighted plaza – located on the north end of the stadium – will provide a sensational social space for fans as well as a Cyclone-themed entrance to our facilities,” Pollard said. The project is expected to break ground in June, 2019 and will take approximately two years to fully complete. 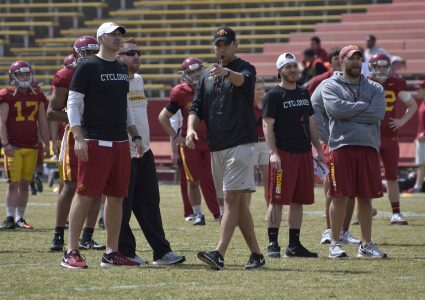 Jared is in his sixth year covering Iowa State football and basketball for Cyclone Fanatic. 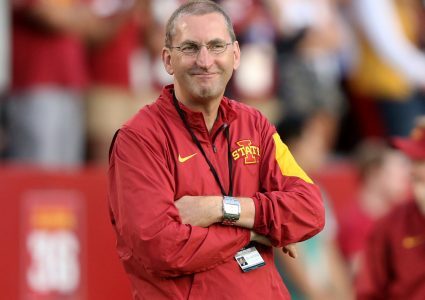 He's the site's lead reporter for ISU recruiting. He worked as the site's intern for three years while studying Journalism in Iowa State's Greenlee School of Journalism. He started as the full-time staff writer in May 2016. Jared spent five falls covering Iowa high school football as a reporter for KMA Radio, 1460 KXNO and 1430 KASI.